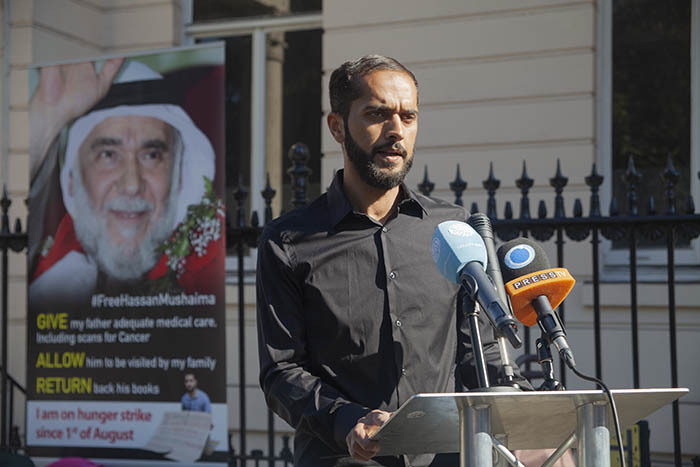 At a press conference outside the Bahraini Embassy in London on 13 September, Bahraini human right activist Ali Mushaima vowed to continue fighting for his 70-year-old father Hassan Mushaima, who was imprisoned in 2011 as part of a crackdown on political activists in the country. 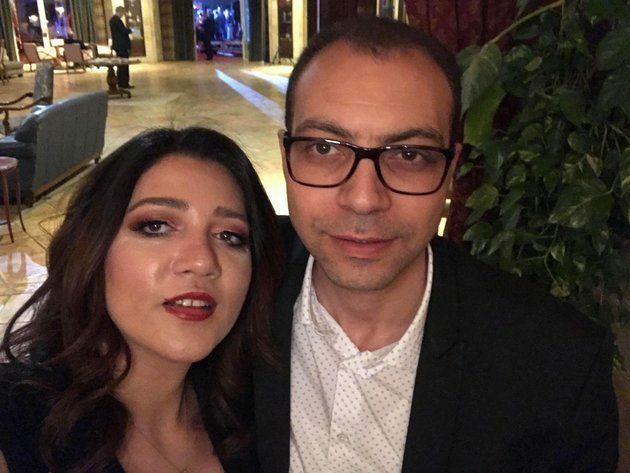 Human rights activist Zainab Al Khawaja, who has joined Mushaima’s demonstration after travelling from Denmark, was thanked for her solidarity. Khawaja’s activism has seen her arrested twice in Bahrain, once while pregnant and once with her infant son. 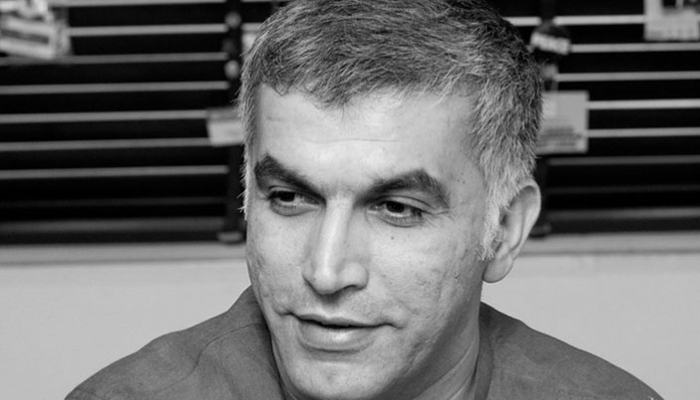 Like Hassan Mushaima, Al Khawaja’s father, Abdulhadi Al Khawaja, faces possible life imprisonment. 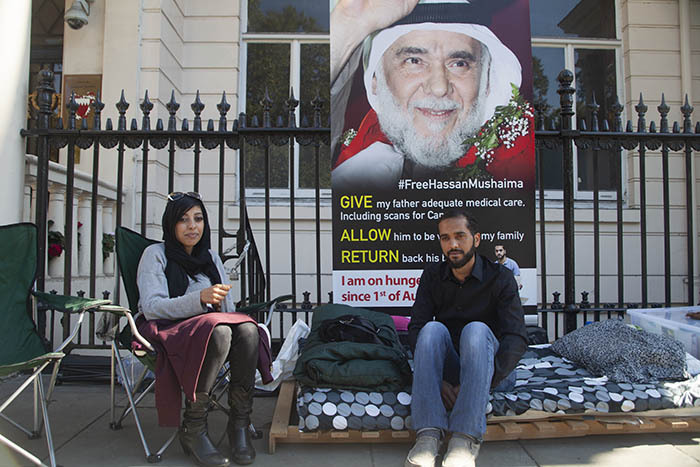 Outside the Bahraini Embassy, Mushaima also expressed his gratitude towards MPs such as Caroline Lucas and Ian Blackford for raising his father’s case and shedding light on the suffering of political prisoners in Bahrain. 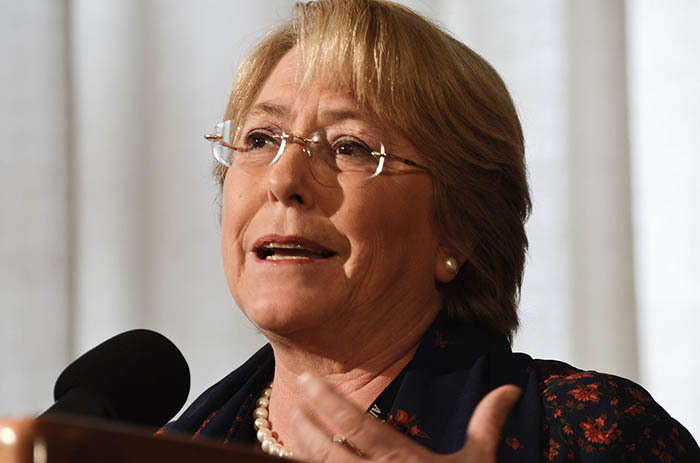 His strike has garnered global recognition, going as far as being mentioned by the Human Rights Council in Geneva. The British Government’s decision to support “false” statements made by the Bahraini Government was highlighted by Mushaima. 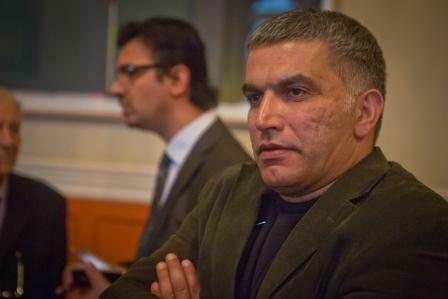 He believes the UK has been part of the problem rather than the solution, alleging Britain has spent millions of pounds of taxpayers’ money to train Bahrain police violence and to teach them how to whitewash their crimes. Last month Mushaima asked for the Queen’s assistance, citing her friendship with the king of Bahrain as one of the many ways she could help influence the case.